Magento an Adobe company, is a leading provider of cloud commerce innovation to merchants and brands across B2C and B2B industries and was recently named a leader in the 2018 Gartner Magic Quadrant for Digital Commerce. In addition to its flagship digital commerce platform, Magento boasts a strong portfolio of cloud-based omnichannel solutions that empower merchants to successfully integrate digital and physical shopping experiences. At Magento Live, Adobe unveiled its vision and strategy to make every experience shoppable by integrating Magento Commerce Cloud into Adobe Experience Cloud, enabling enterprise companies to create highly engaging, personalized shopping experiences. The integration with Adobe Experience Cloud’s content management, personalization, and analytics solutions provides an unrivaled offering for enterprises looking to deliver world-class commerce experiences. The company also unveiled a major update of the Magento platform to empower small and mid-market merchants to extend the lead in commerce innovation and agility. With rising customer expectations and increased competition, brands now compete on the quality of the customer experience they offer over a lifetime of customer engagement, both on and offline. Adobe’s vision for experience-driven commerce is to empower companies to unify end-to-end customer experiences from creation to commerce, driving loyalty and business growth. “Consumers expect every interaction with a brand to be contextual, intuitive and meaningful, but companies have struggled to consistently deliver personalized experiences across the myriad of touchpoints,” said Mark Lavelle, senior vice president of commerce, Adobe and former CEO of Magento. For anyone that was wondering exactly what the Adobe and Magento partnership really means for businesses, the answer is simply that Adobe makes every experience personal while Magento is making every moment shoppable. 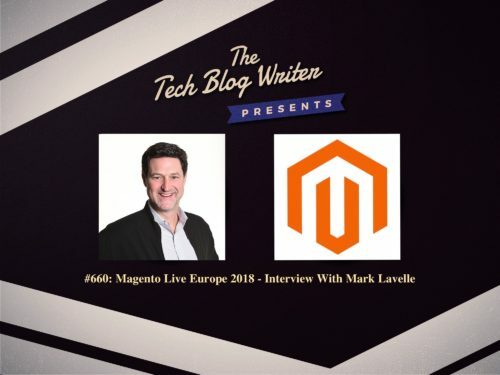 I wanted to find out more about Mark Lavelle, his story and the future of the company so invited him on to my daily tech podcast and learn more about the companies ambitions.